Whether you like it or not, Instagram is here to stay as a social network. Whatever plans Facebook has in the future are irrelevant, today it’s a huge platform for a lot of users. Its presence (or absence) makes or breaks potential smartphone purchases by the active 90 million users. Windows Phone still doesn’t have an official app, but Instagraph is a good workaround for right now. From the forums, here’s another slightly more involved way to get pictures up to Instagram without using an iPhone or Android device. We get it, for some reason you can afford a smartphone, but shelling out $2.50 for Instagraph is too much. Here’s a nice little hackaroo to get your plates of food up on Instagram. It involves a Windows PC (most of you probably have one or access) and BlueStacks. If you don’t remember from the last time we covered BlueStacks, it’s software that can allow you to run Android applications through emulation. It only works on x86/64-based machines. So you can’t use it on your Surface RT, but you can on your Surface Pro and desktops. Back when we covered BlueStacks I actually installed Instagram, but couldn’t get the app to work. If you found yourself in the same boat, Windows Phone Central Forum member illegaloperation offers up a step-by-step guide to getting it working. 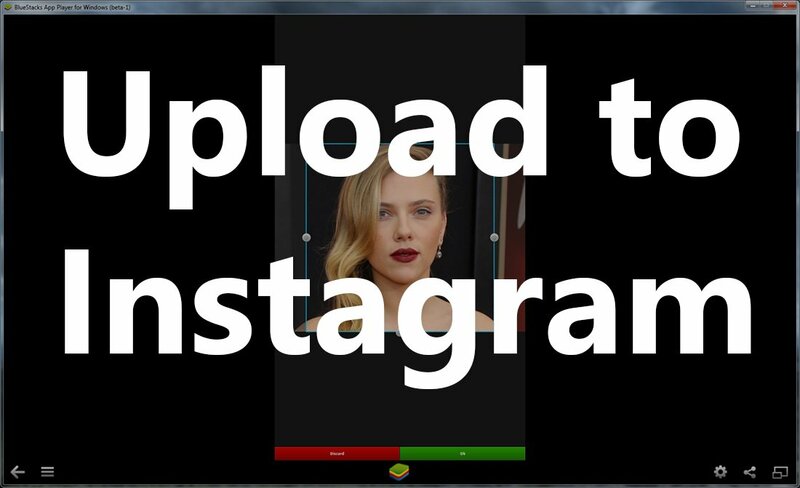 Head on into the Forums to get a look at how you can Instagram from your PC. Alternatively, there are some other ways to get pictures up to Instagram if you’re primarily a Windows Phone user. Like the Sam Sabri method (it’s really called that, Bing it if you don’t believe me). Just make sure your photos are automatically saving to SkyDrive and you can then access them from most any modern computing device through SkyDrive. For example, I have an iPhone 4 around that is basically an Instagram machine (thanks to SkyDrive). I’m kidding about it being only an Instagram machine, I mostly use it to check for app parity when we get a new release from on Windows Phone. Anyways, let us know below what other ways you get pics up. And thanks to illegaloperation for sharing the guide with us all.